How did the Red Shield Appeal start? Before the first ever Australian dooknock campaign, The Salvation Army gathered funds for its social services with a “Self Denial Appeal”. Uniformed officers would collect funds night after night as part of a three-month appeal to secure money to help with the continued and costly work first laid out by William Booth. The idea to use the Red Shield as a name came from The Salvation Army in Canada, who ran an appeal with the same name. During World War II, The Salvation Army had ministered to soldiers of western nations from tents known as Red Shield huts. With the memories of the Second Great War still fresh in the minds of the public, so too was the memory of The Salvation Army’s attentive support to servicemen. 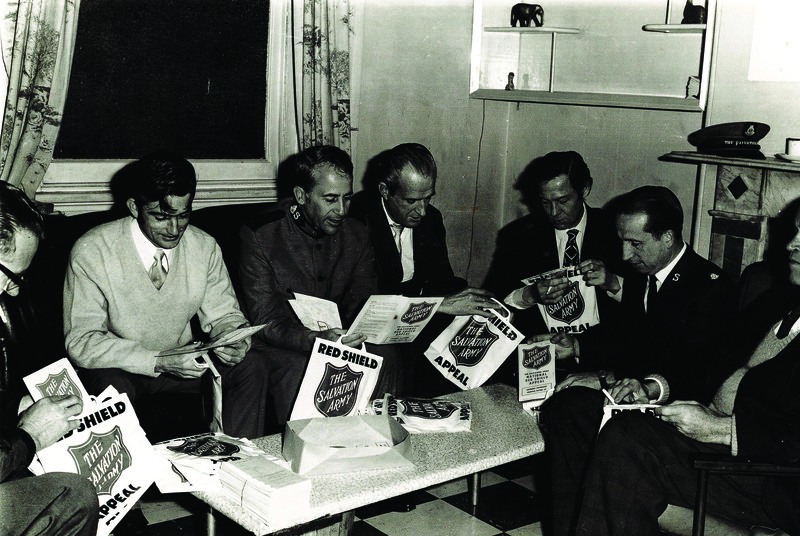 In 1965, after a great deal of consideration and thought, the first Red Shield Appeal was run in Sydney as a doorknock. Never before had a fundraising appeal been held in the form of a doorknock, with friends and family of The Salvation Army banding together to visit homes across the city. The idea caught on like wildfire in The Salvation Army, with parts of Tasmania, Melbourne and wider Victoria holding their own “Red Shield Appeals” in the months and years afterwards. The appeal inspired the best in the Australian people, who not only donated much needed funds, but their time, effort and their talents. 1970 marked the first nation-wide Red Shield Appeal, using the tagline of “Thank God for the Salvos”, a phrase which has made its way into the hearts and minds of many Australians and is still spoken today. The appeal raised $1 million dollars across Australia and marked many firsts. 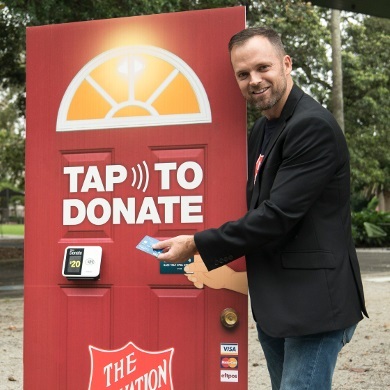 The Salvation Army was the first charity to hold a national doorknock, the first charity to run a national advertising campaign and the first to produce a national television ad. Since then, the Red Shield Appeal has grown stronger each year with the Australian people reaching into their pockets, wallets and purses to answer the knock on the door. Today, the Red Shield Appeal is The Salvation Army’s main source of philanthropic income for our social services and outreach programs. The Australian public continues to dig deep for us, donating $80 million dollars across the nation. A lot has changed since 1970 and The Salvation Army is working hard to respond to a shifting society and a changing way of life. We are grateful for our strong relationship with Australian broadcasters, regularly appearing on breakfast television shows and nightly news programs, helping us reach more people than ever before. We’ve also made advancements in how we collect funds, offering the use of tap-and-go machines and encouraging online donations. But it’s not just monetary donations that go to making the Red Shield Appeal an annual success. We rely on our army of volunteers, both young and old, to help us be seen, be heard and be present in businesses, sports clubs, schools and on your doorstep. 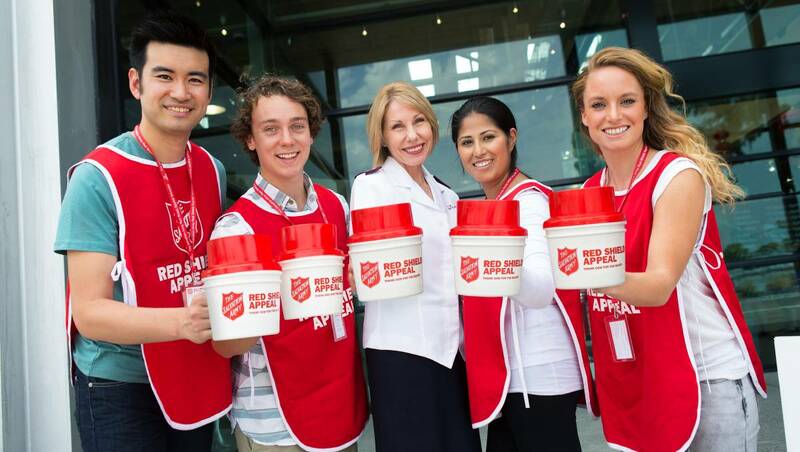 The Salvation Army thanks the people of Australia for their time, effort and their donations to the Red Shield Appeal. With your help, we can give hope where it is needed most.